FUEL SAVINGS APART, HOW MUCH ARE YOUR COMFORT AND SAFETY? DEFINITELY MORE THAN THE COST OF VORBLADE SYSTEM! VorBladeTM Trailer System with Crosswind MitigatorTM Subsystem is the only product on the market which reduces harmful impacts of crosswinds up to 60%. It could save you 6% — 8% in fuel and reduce your risk of an accident by 9%. VorBlade vortex generators reduce spray of dirt particles on the backside by more than 60% and improve more than twice a mirror visibility by preventing mud, rain and snow particles from spraying to the mirror height. 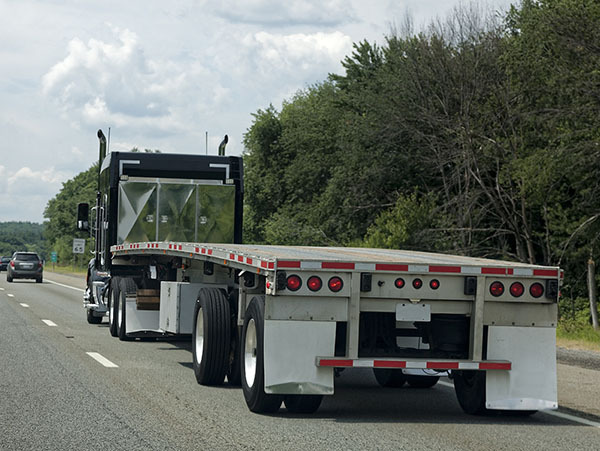 FLATBED: Air drag behind a tractor is about twice larger than of semi tractor-trailer gap because there’s no trailer to limit a length of drag-producing low-pressure zone. VorBladeTM Cab System cuts that larger drag for FLATBEDS in half stabilizing your truck and saving up to 5% in fuel. 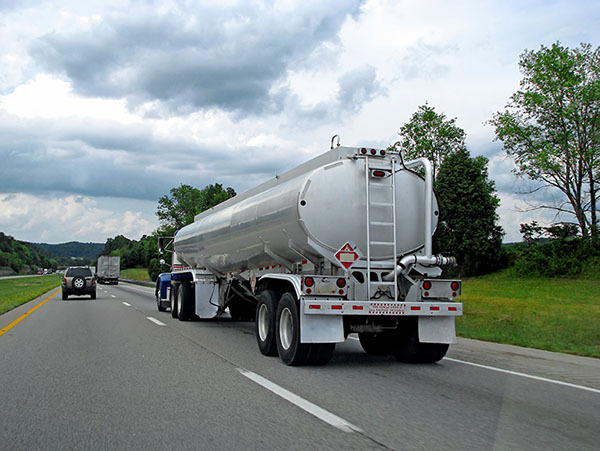 TANKER: Air drag behind your tractor is 1.6 – 2 times higher than in 18-wheeler tractor-trailer gap: the tanker’s gap is often larger, and the tank front surface is smaller than of semi-trailer. VorBladeTM Cab System cuts that larger drag for TANKERS in half stabilizing your truck and saving up to 5% in fuel. 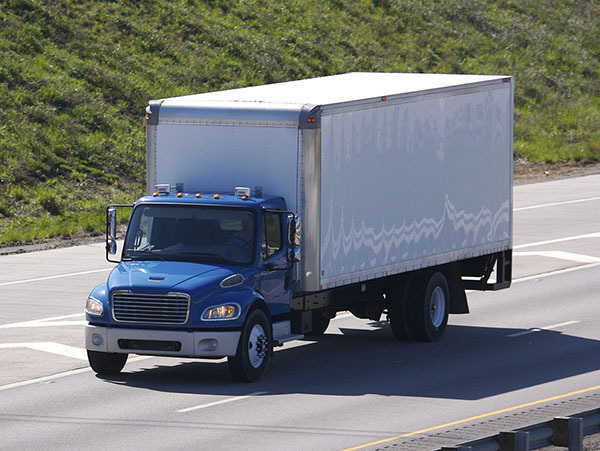 BOX TRUCK: Depending on your truck size, air drag behind the cargo box may be close to that behind much heavier 18-wheeler’s trailer, so you spend more fuel to fight air drag, and crosswind-produced side force and moments may throw your lighter truck of the road much easier than a heavy semi. VorBladeTM System cuts that larger drag in half stabilizing your truck and saving up to 8% in fuel. 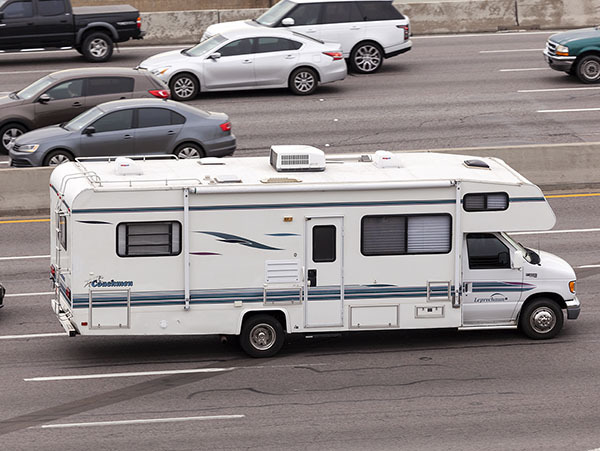 RV OR BUS: Air drag behind a bus or large RV is about the same as behind semi-trailer, while the vehicle is much lighter, so you spend more fuel on the drag. 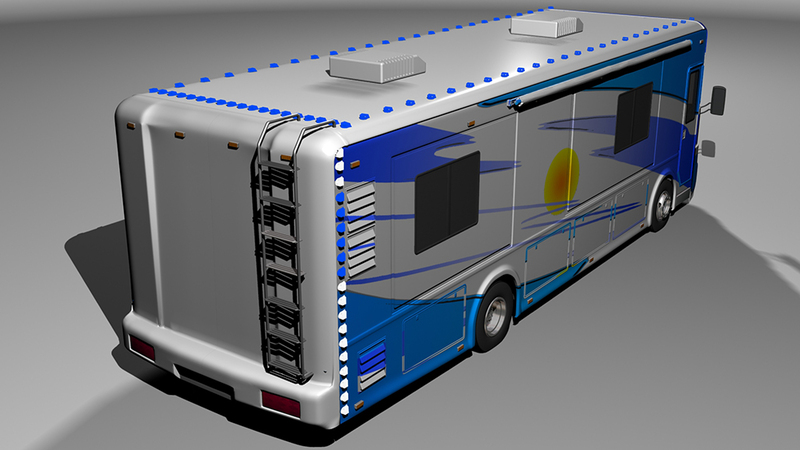 However, the most severe problem for RVs and buses is crosswind. These typically box-shaped vehicles are relatively lightweight for their large height and length thus they might be easily thrown off a lane by leeside force and moments generated by strong crosswind gusts. VorBladeTM System cuts that larger drag in half stabilizing your vehicle and saving up to 10% in fuel. VorBladeTM systems are effective on semi-trucks & trailers, flatbeds, tankers, straight trucks, buses and RVs, one just needs to choose the right ones. Flatbeds and tankers: VorBlade™ Cab system cuts in half very large drag behind trucks and provides up to 5% in fuel economy, improves aerodynamic stability and handling of trucks, makes a ride more comfortable and reduces driver’s fatigue and risk of accident. VorBlade™ Trailer End & VorBlade Wing™ systems reduce significantly air drag which saves up to 8% in fuel and increases vehicle’s aerodynamic stability. VorBlade vortex generators reduce spray of dirt particles on the backside by more than 60% and improve more than twice a mirror visibility by preventing mud, rain and snow particles from spraying to the mirror height. VorBlade™ Trailer End system or VorBlade Wing™ system with Cross Wind Mitigator™ Subsystem reduce harmful impacts of crosswinds up to 60%, improves vehicle’s stability by about 50%, and reduces driver’s fatigue by about 15% and a risk of involvement in accident by 9%, and expands tire’s lifespan by 6%.